Back to school is in less than two weeks for us, and this year is going to be a big year for little man, because he is going to learn something new and very important. He is going to learn to write. I can’t believe that the creature that was once my chubby baby is now a four year old learning to write. I can’t believe it. Little man is smart and learned his to say and recognize letters, numbers, shapes and colors early on, but he resisted writing a bit when I first tried to do this with him, preferring to just scribble all over the page. I didn’t want to pigeonhole my son’s creativity, so if he wants to live a life outside the lines, so be it. But he is now ready and expressed interest in writing letters, particularly his name, and so it’s begun. He’s officially graduated from fat crayons to BIC® pens, and it’s very exciting. 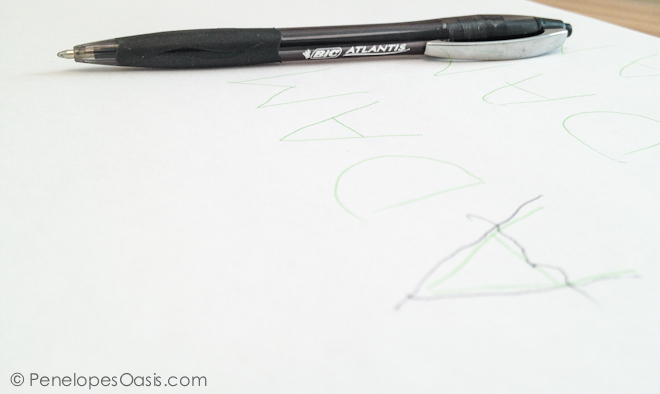 I write his name down on a piece of paper with a lighter colored BIC Atlantis® pen, usually the pink or green, and he traces over it with the black pen. He is doing pretty good so far! BIC Atlantis® makes pens in classic ink colors and feature exclusive Easy-Glide System® ink, with up to 35% smoother writing compared to traditional BIC® ball pen ink systems. They BIC Atlantis® pens also come in fashion colors to give full color variety for endless expression. For me, the gal who is forever making to do lists, I love BIC®’s new fashion color pens, so I can make my to do lists easier to navigate by color coding my chores. Our drawers were always full of BIC® pens, because they really do write smoothly, and I wouldn’t be surprised if BIC® pens are in most of our homes, or packed into most of our children’s back to school bags. BIC® makes products for moments that matter, like learning to write for the first time, or making lists for important events, or signing on the dotted line. 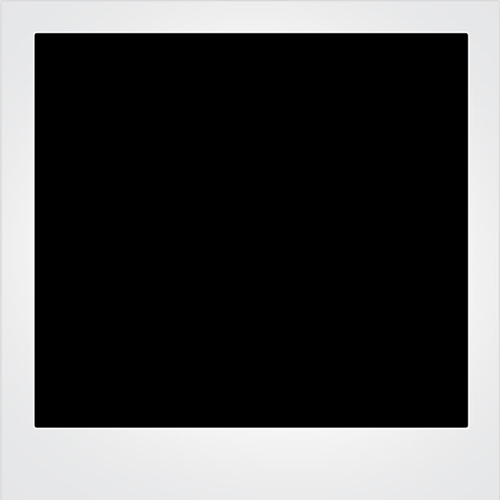 BIC® is running an facebook app, “Expression is the Point” to share the idea that you can rely on BIC® during your most important moments- it won’t interrupt your workflow, and you can express yourself with stationery products you trust. BIC® makes products for moments that matter. How do you express yourself with BIC®? 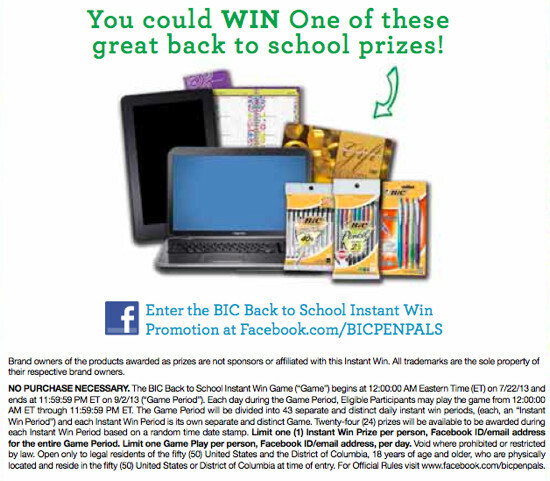 Are BIC® products in the school bags of your children this year? That’s so cute that he’s tracing the letters of his name now! Great idea to use two different colored Bic pens for that! We love BIC pens! They grow up so fast don’t they? I love when they first learn to read and write… it’s one of the big milestones in a child’s life. we’re starting the letters thing about now too. Looks like I need to get my daughter some BIC pens and some for myself because I am loving all those colors! 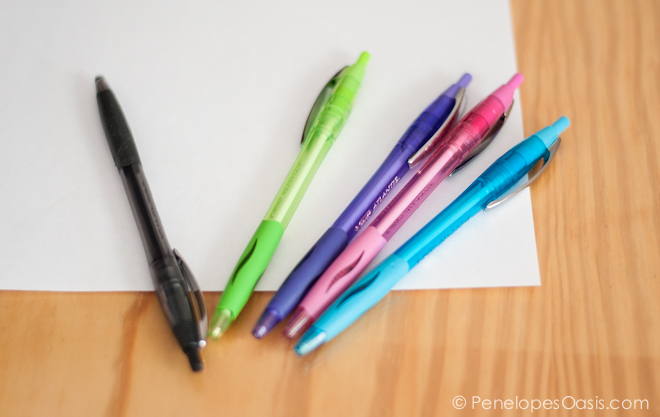 I love those colored pens, they make writing so much more fun then just using an ordinary black or blue pen! These pens look amazing! Bic is the only brand we buy! My kids would love those colored pens to add some creativity to their stories and spelling words. I love the colored pens with the nice grips. I love bic pens they always right so smooth. I bought those pens for work! I love how they write! I love Bic pens and have been using them for years. So adorable that he’s writing now. He is pretty good at writing! M is far away from learning to write but loving to doodle! I used to (Still have) and obsession with pens. 🙂 Thanks for sharing the contest too! it is such a great yet sad feeling when your little ones learn new things. You are proud but they are one more step to being independent. Good for him that he wants to learn. How exciting! My son’s school provides his supplies, but I love BIC &will buy them when we’re doing the shopping! My daughter isn’t allowed to use pens in school, but I use the gel pens from BIC. I may or may not have a slight pen obsession. I have a huge collection of BIC pens, I think I need that purple one pictured above. Awww, look at him go. He did a great job tracing his letters. I love those pens, in fact, they are the only ones my 13 year old asks for. I loooove when they start learning to write — it’s so cute watching how hard they work at it! He’s doing great learning to write his name! He’ll be writing it like a pro in no time. I love all of the fun colored options that bic has. I remember both of mine learning to write. It was amazing the first time they both wrote their names! Good penmanship starts at an early age, glad you’re giving him an edge. I remember when my not so little boy, eleven now, started writing. Now if I can get it through his head that is has to be legible..
Aww i love his little writing!! He’s doing so well! Way to go little man. My son is doing the same thing! It si so fun to watch them learn! I had a super proud mama moment when he wrote his name for the first time! It’s so precious when they start learning to write. I need to get some of these pens. I love all the pretty colors! When I worked in the doctor’s office I loved using all the different colors.